We were visiting the Saint Petersburg Hermitage Museum in Russia. The Hermitage is house of one of the finest art collections in the world and it was home of some Russian tsars. I found this cat at the entrance. 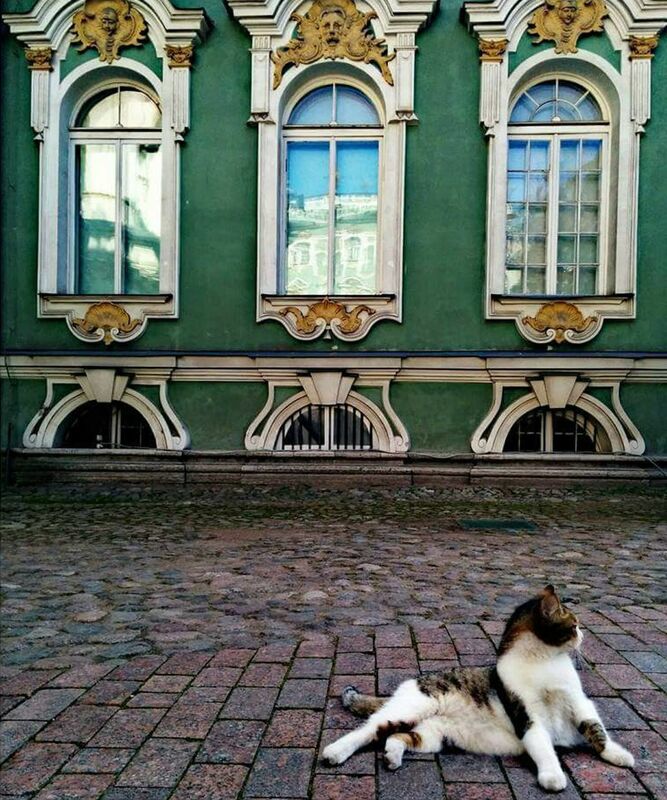 The cat was posing as a tsar there, part of the Museum collection and the magnificence of Saint Petersburg.